Yes, I shot this back in late April. Yes, I feel terrible about it. I’m going to be clearing out my archived reviews as fast as I can edit and upload them. Look forward to more in the coming weeks. I’m in the midst of a bunch of review projects and besides that I’ve already done a video review of Bell’s Oracle (an aged and a fresh bottle vertical, no less!) but when the newest batch came out I figured it was worth doing a quick text review. 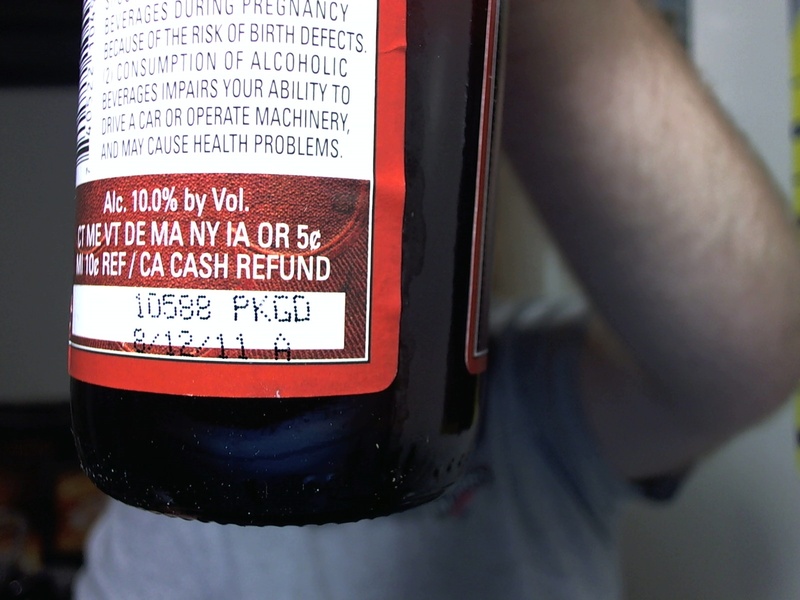 Plus, check out that batch number (with date)! I’m drinking this bottle about five days old. Which makes this pretty much a must-buy for me. Pours dark orange, very transparent, with a fair amount of carbonation coming from the bottom of the glass and a thick white head. 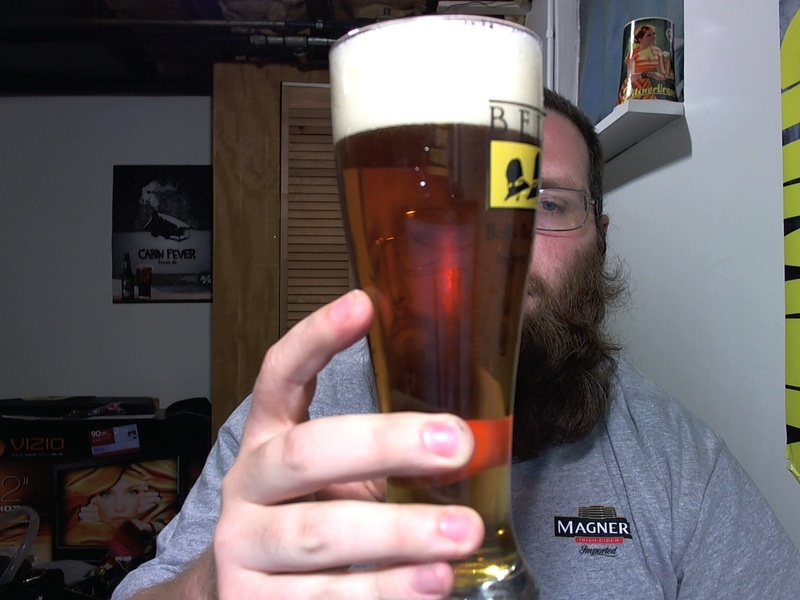 Head dissipates fairly quickly, but leaves significant lacing. Aroma is mostly pine, very verdant almost like a Christmas tree (which gives me a homebrew idea: a big piney black IPA with Christmas spices marketed as a winter warmer). Some hints of grapefruit and pineapple but buried deep. Hints of sweet malt. Taste is much more heavy on the grapefruit, with a nice bitter abrasive finish and a very dry aftertaste. Tons of bittering hops in this one, but with a nice flavor addition towards the end. The alcohol is ridiculously well hidden. As the beer warms the grapefruit sweetness becomes more prominent, almost sticky. I’ve long been of the opinion that this is better than Hopslam, and getting a super-fresh bottle just makes me more certain of it. I’m absolutely looking forward to drinking the other five bottles very soon. 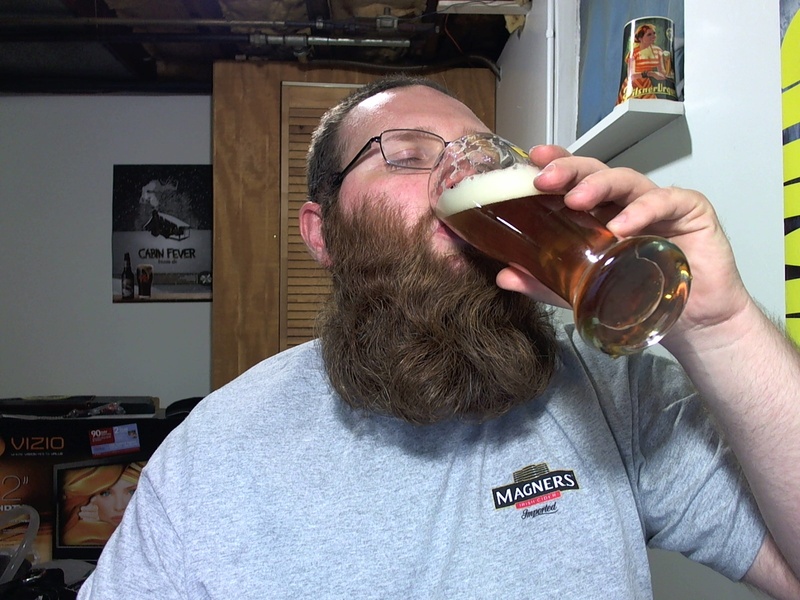 I got back from vacation last night, so now it’s time to begin the weeklong series of beers sent me to in a June beer mail from fellow Youtube beer reviewer Chad, aka Chad9976. I actually shot this review more than a month ago, but it’s been sitting on the hard drive waiting for this chance at upload. I’ll be doing the rest of the beers from Chad’s beer mail this week. This one almost made it in as part of Viewer Request Month. Fellow BGNer Peter long ago requested that I do more Danish craft beers, but we don’t get any in my area. When I took a trip up to Grand Rapids, I picked up this Imperial IPA. Anyway, it’s called an Imperial IPA on the label. But based on how long it had been sitting on the shelf, I was guessing it was more of a strong barleywine by now. Tasting the beer, it turns out I was right. Which made for an interesting (if a bit long) review, as I’m trying to process it both as an “aged DIPA” and as a new barleywine. Either way, I gave it a rating. It’s a pretty solid beer, so long as you don’t consider the Imperial IPA label.